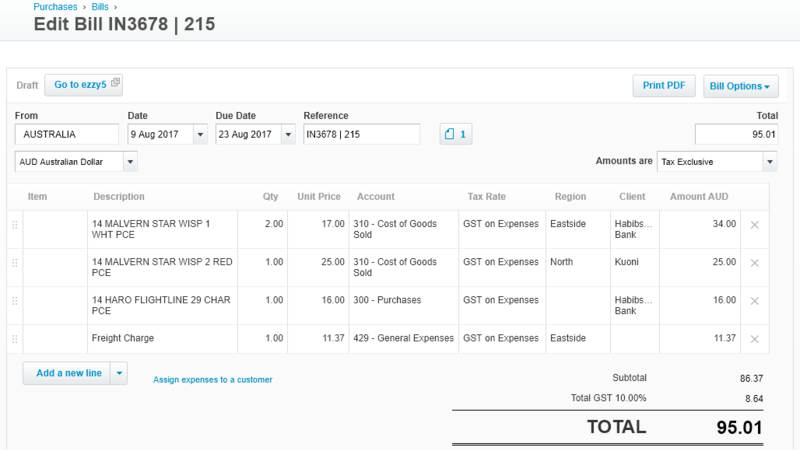 If you upload a Bill to EzzyBills, and there is an associated Purchase Order for this Bill, then EzzyBills will process the Bill to Xero, copy across the Tracking and Account information from the Purchase Order and then mark the associated Purchase Order as BILLED. For a new EzzyBills, with the default Settings (Settings -> Advanced Options), PO number will not be extracted from the invoice. No PO matching will be done. In order for automatic matching PO to work, you need to modify the Settings -> Advanced Options (Save Settings afterwards). You can have either of the following two Settings. 1) PO numbers will be extracted based on EzzyBills’ list of keywords. 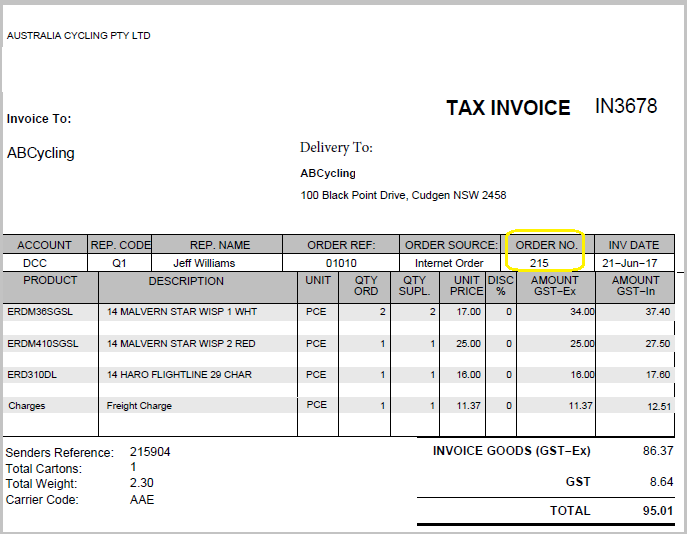 2) PO numbers will be extracted based on your list of keywords (comma separated based on your supplier invoices). 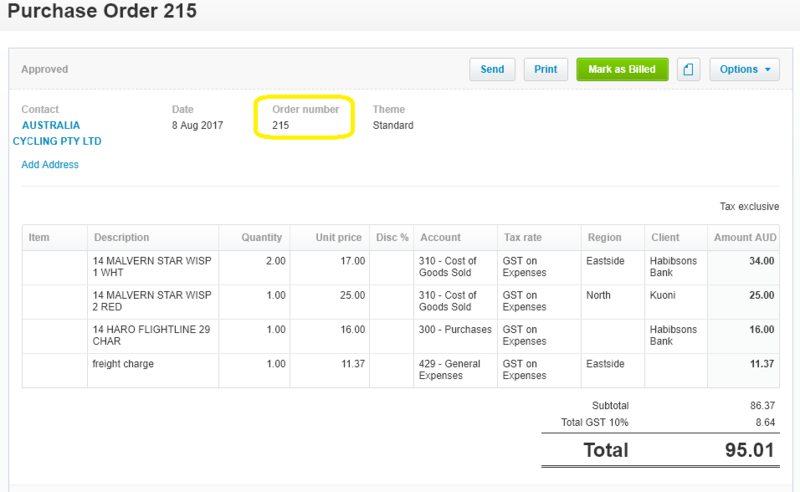 the new Bill will get imported into Xero. The “Account” code and Tracking information that is on the PO will get copied across to the Bill (matching on item codes and descriptions; otherwise use the most common one). If the bill is uploaded with email extension xxxx.MatchPO@ezzybills.com, the supplier name on the PO will get copied across to the Bill. This is a feature request by our customers as they use generic supplier name for one off purchases. (by default) assume that the PO is only partially ‘Receipted’, so leave the PO state unchanged, but copy across the relevant Account and Tracking information to the new Bill. I now upload a matching invoice for this PO. 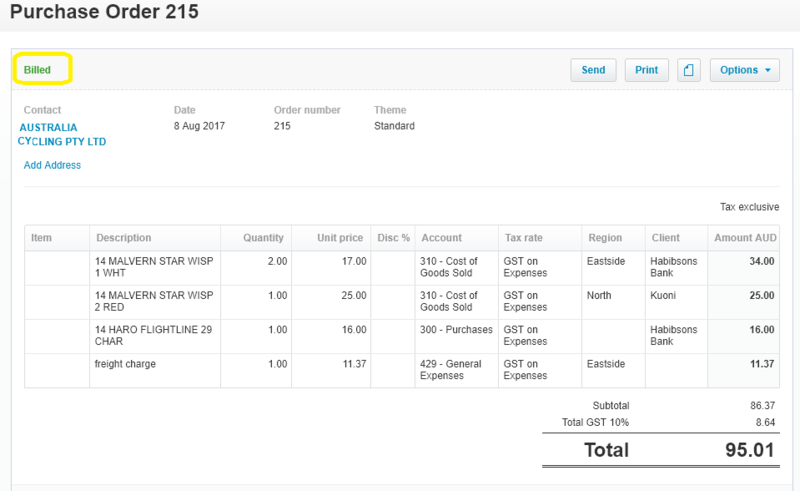 The amount on the invoice matches that on the PO, the new Bill gets imported into Xero, with the “Account” code and ‘Tracking’ data transferred from, PO line by line. And the PO changes status to “Billed”.